What’s Lights Got to Do With It? Loudoun’s first-ever lights and lantern show open at One Loudoun, featuring one million lights used in 77 installations spread out on 20 acres. The LightUP Fest will run every day until January 2, and will be open on holidays. Although the event will be a fantastic experience, especially during the holidays, you may be wondering: what does a “lights and lantern” show have to do with economic development? The answer is: this festival grew out of Loudoun Economic Development’s international business recruitment efforts. One of our goals is to grow Loudoun’s tax base by attracting additional companies with headquarters outside of the U.S. We reach out to overseas businesses in industries that thrive best in Loudoun (like tech companies), and invite them to open a business here. The corporate taxes generated by these companies help pay for Loudoun roads, schools and health and safety organizations. International businesses directly support the quality of life Loudoun residents enjoy. One of our countries of focus is China. Many argue that it has the world’s largest economy and is on its way to becoming a tech giant. In just one generation, millions of rural Chinese farmers joined the industrial and technology workforce. Not only are they exporting billions of dollars’ worth of products, but they also import billions in U.S.-made products. In addition, direct Chinese investment in the U.S. reached almost $50 billion by 2016. 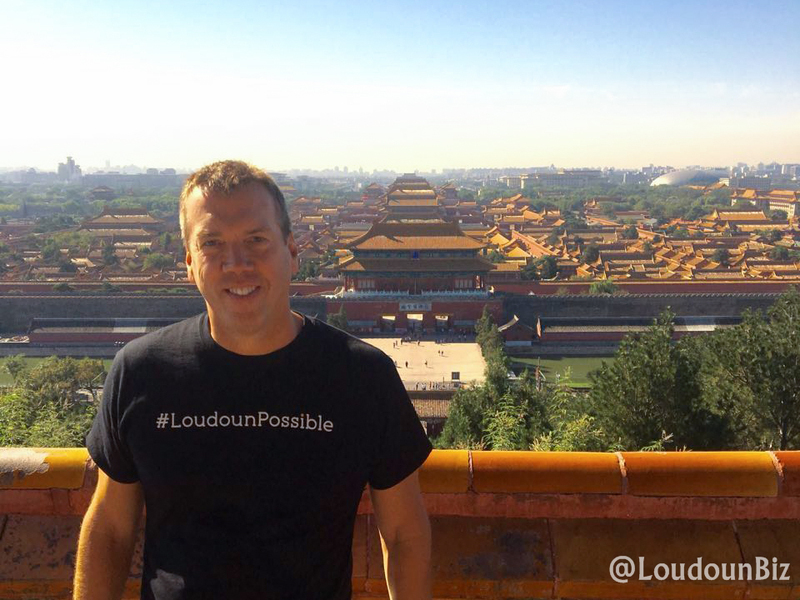 Loudoun Economic Development has made three business development trips to China in the last few years, including the one where I was photographed. We’ve also hosted a number of Chinese business delegations here in Loudoun County. Part of our international business development efforts resulted in Loudoun being chosen as the site for this year’s lights and lantern festival. Previous locations have included Phoenix, Seattle, Houston and Atlanta. Since the Washington, D.C., area has approximately 300,000 people with Chinese heritage, Loudoun is an ideal location for this event. The LightUP Fest is being produced by the Zigong Lantern Festival and Trade Group, which has produced similar displays in more than 300 Chinese cities and more than 30 nations around the world. The festival includes daily performances of acrobats, dancers and musicians. The interactive craft and art section will showcase the culture and tradition of more than 2,000 years of Chinese history. There will be activities for the whole family, including puppet making, calligraphy, portrait sketching and rice carving. I hope you have a great time!